We are wrapping up our Summer Program with one of our favorite weeks- Wacky Water Week! 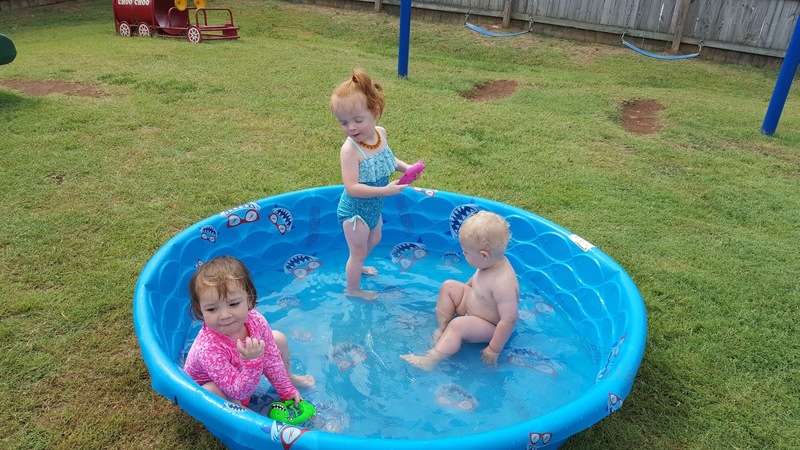 After all, who doesn't love to play in the water! 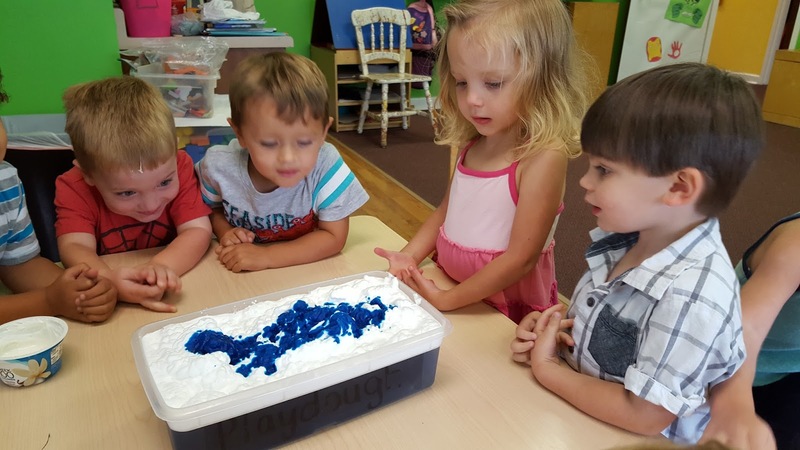 Of course, we had a lot of fun doing various water activities like seeing how sponges absorb water and how the water can be squeezed back out. 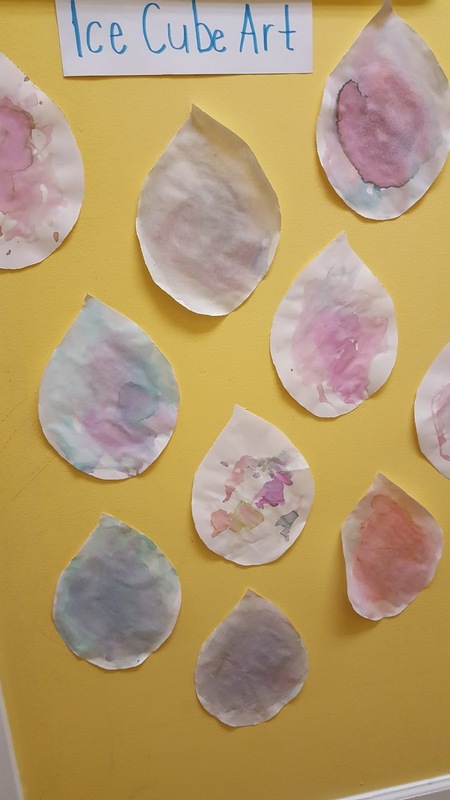 Painting with ice cubes was a fun and unique way to incorporate art into our week! 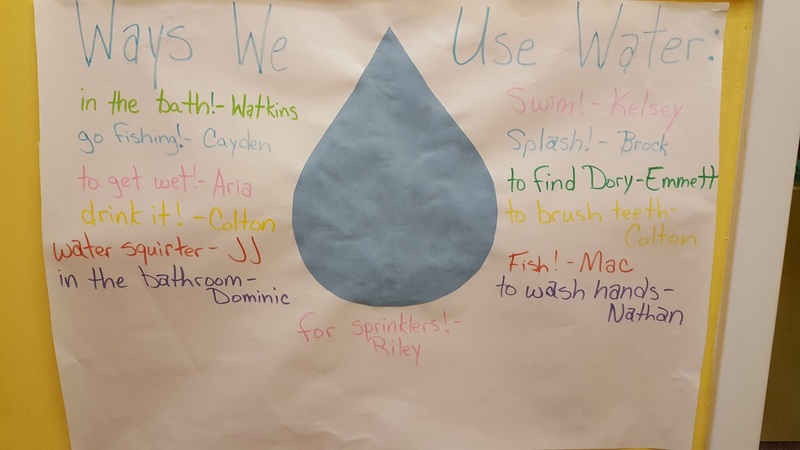 The children did a great job in brainstorming the many different ways that we use water each and every day. Mixed in with all the fun, we also learned about the Water Cycle. Several classrooms did a neat experiment to demonstrate how the water cycle works. 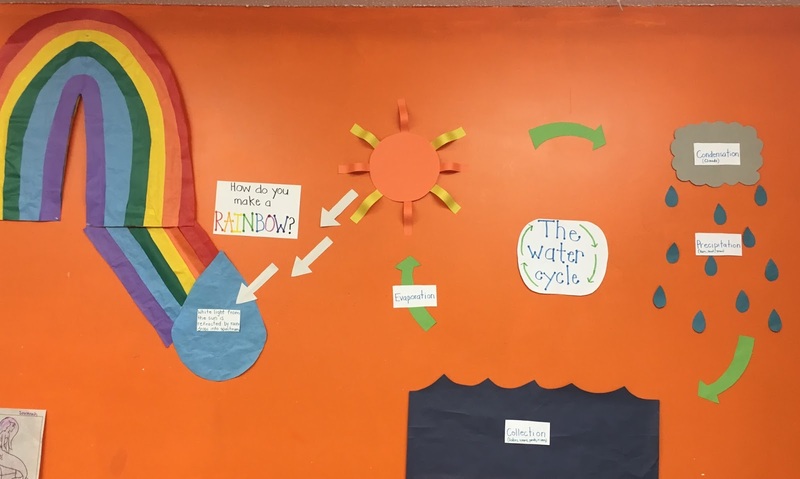 One classroom even made a large diagram to go on their wall to give another visual of the water cycle. For some other science projects, the children got to watch as pencils were stuck through a ziploc bag of water and that no water leaked out! They also observed water absorb and transfer from one cup to another throughout the week. 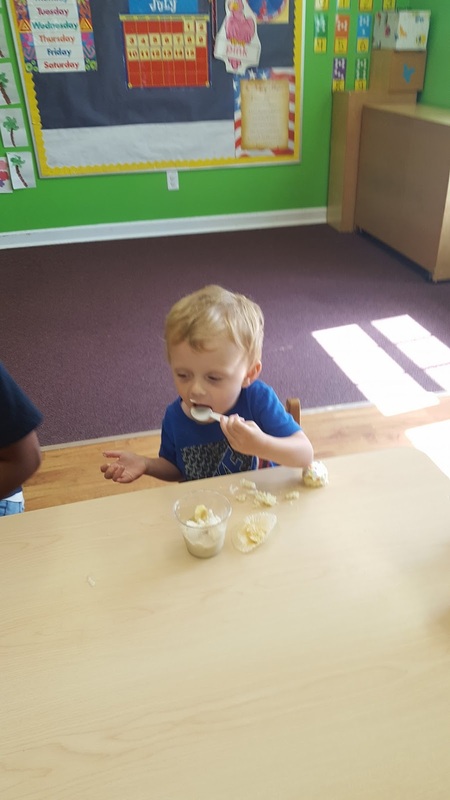 Since it's the end of our Summer Program, we are also finishing up the alphabet as well! 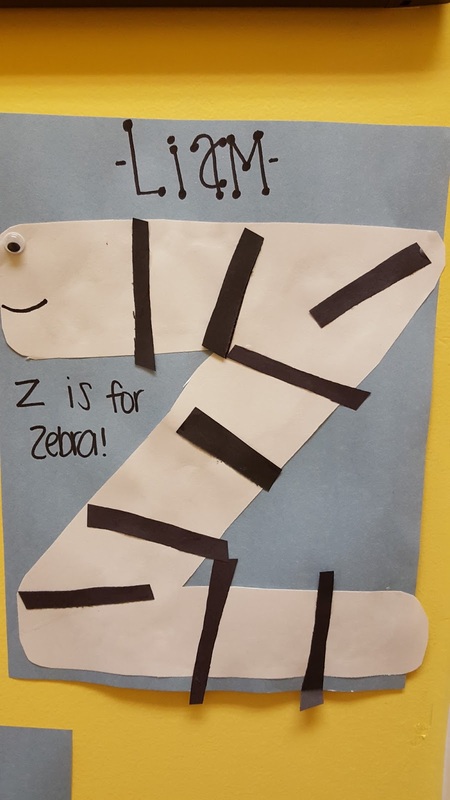 The children were very creative in making "Z is for Zebra". All the talk about water and playing in it has us wishing we were at the beach! So, for our cooking project, we made "Beach in a Cup"! YUM! 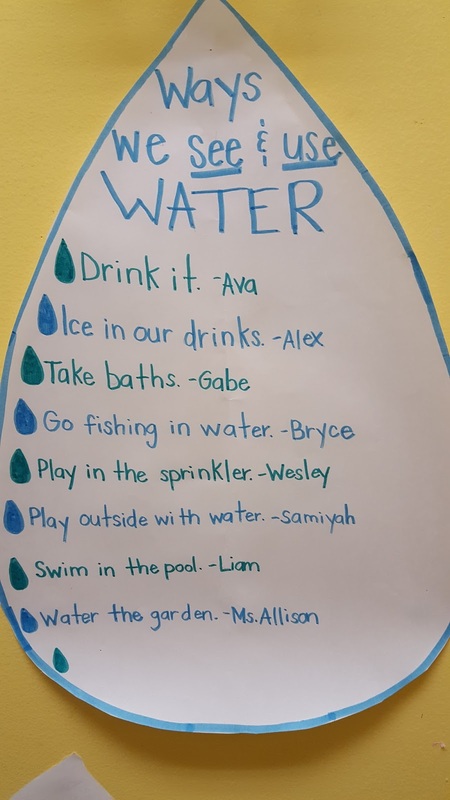 To wrap up the week, we had Water Play Day on Friday! Always such a fun treat to get to have some fun in the water with our friends at school!